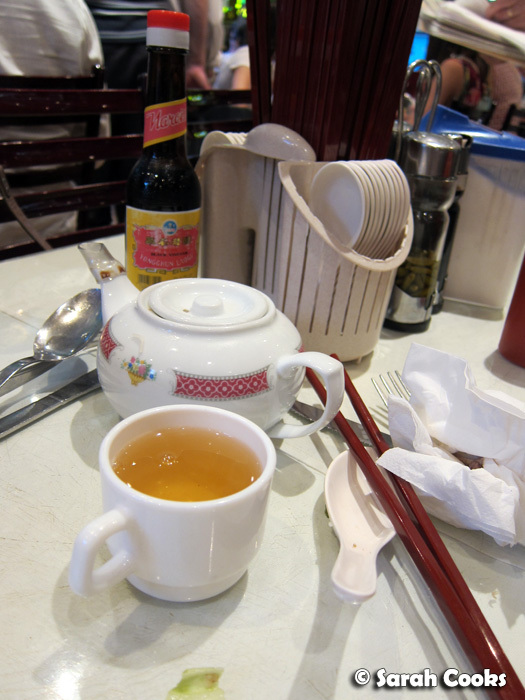 ... or "How I chose an awesome Asian restaurant in an unfamiliar city". When not in the comfort of my home town - heeeey Melbourne, you rock! - I can find it really hard to choose a good restaurant. Or, similarly, to find a good coffee, an excellent bakery, the market with the cheapest and freshest vegetables. Without an intimate knowledge of the city, friends' recommendations, and indeed, the luxury of time and repeat experience, more often than not it's just guesswork, really. 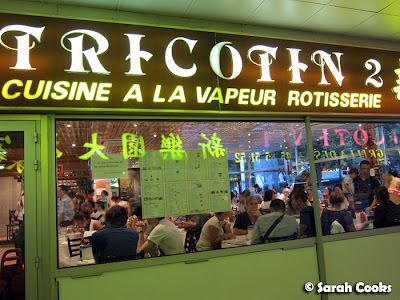 On my fourth night in Paris, Clarice and I really felt like Asian food, and weren't quite sure where to go. 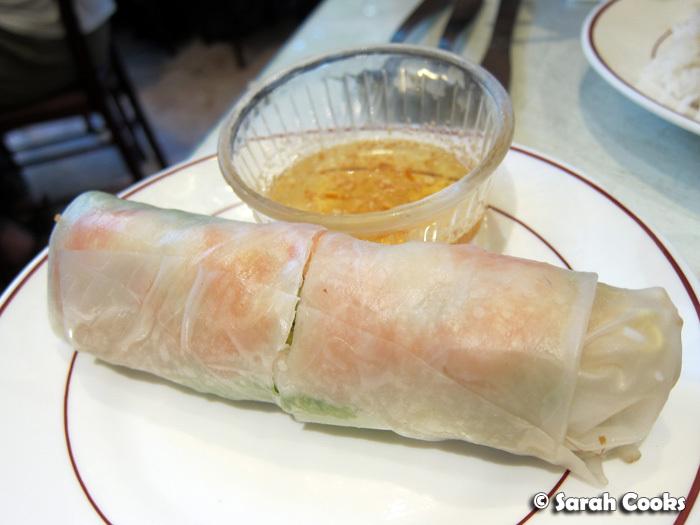 Despite living in Paris for a few years now, Clarice hadn't had a chance to explore the different Asian neighbourhoods and choose her favourites, so we hit up Clotilde's book for some general recommendations, and made our way down to the Avenue de Choisy to try and find a good place for dinner. Walking down the street and staring at the many Asian restaurants, I was even more indecisive than usual, fearing I'd lose my Asian-street-cred (hah!) in front of my fellow food-obsessed friend if I were to choose a dud. There were heaps of different restaurants - slick, modern Vietnamese ones with slate-grey walls; old-school Cantonese restaurants with white tablecloths and leather-bound menus; Hong Kong style barbecue joints with ducks hanging in the windows; and more than a few grungy pho houses with super-bright neon lights. Outside of my beloved Melbourne, I had no idea if my usual indicators of good Asian restaurants would be applicable. (In case you're wondering: it has to be full of Asians, preferably in the Eastern suburbs, and it should specialise in one cuisine. But to make things even more complicated, the rules don't always apply. White hipster haven Pho Chu The on Victoria street and Neil Perry's Spice Temple are two notable exceptions - I love both of them). 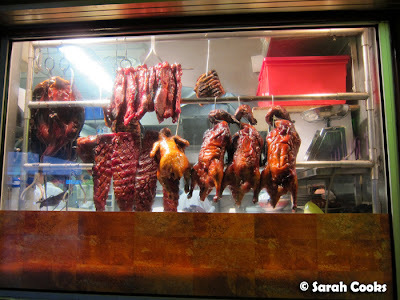 ... and most importantly, had the best looking ducks I'd seen in all the restaurants in the whole neighbourhood. As soon as I saw them, I was convinced. So yes, it seems obvious, but the quality of the food is the best indicator of the quality of the food! "Oh my god, this is amazing!" "Oh crap, I totally spilled rice down my chin!" (that was me). I'm not sure if it was because we were starving, because we were exhausted from walking all over the city, or if it was because Sandra had already gone back to Germany and no-one was being an adult and making non-food-related conversation. Whatever the reason, the food was awesome. We ordered two dishes and two small plates to share. Let's go. 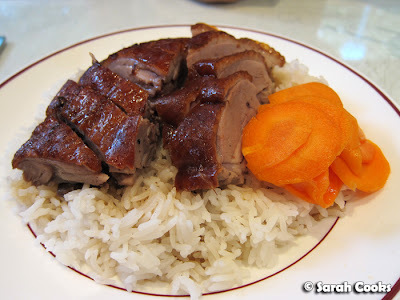 Roast duck on rice, or siew nap fan as I know it. The French know it as "rice with lacquered duck". In any language, it was a fantastic. Check out those meaty pieces of duck! Superb. 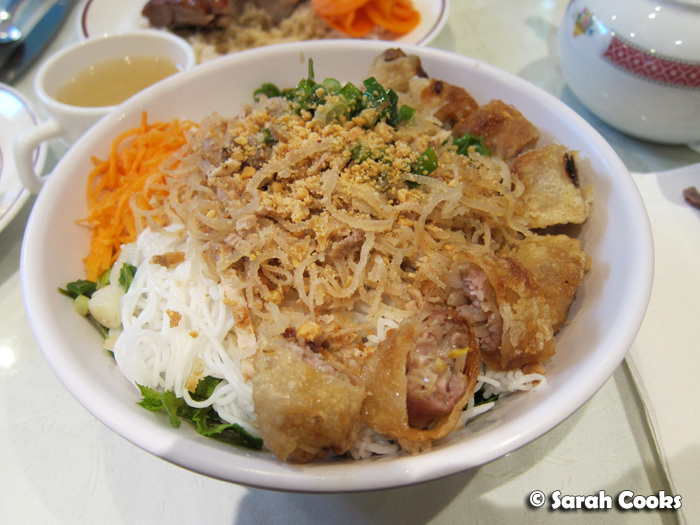 Next up, a plate of bún with pork and spring rolls. Har gao! I hardly ever go to yum cha anymore, and love har gao so much. What a treat! Especially in Paris! I desperately wanted to order woo kok (a flaky deep-fried taro dumpling, shaped like a football) too, but Clarice doesn't eat deep-fried food, and I was already really full by that stage. 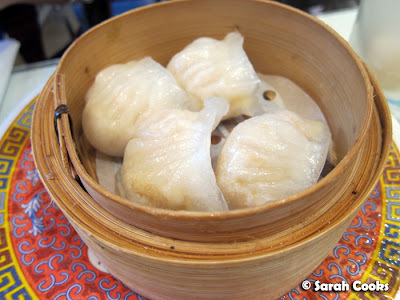 I don't think I've ever had har gao and siew nap in the same meal, let alone with bún and rice paper rolls! Still, they were all well made and very tasty. I was so glad we chose Tricotin 2! Unfortunately they didn't have what I know as Vietnamese iced coffee (strong coffee with condensed milk), so I'll simply have to introduce Clarice to the joys of that coffee if and when she comes to Australia. 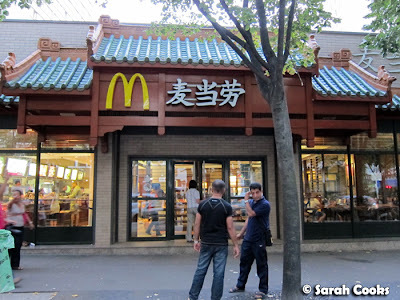 Look at what we saw on our way back to the train station - Chinese maccas! 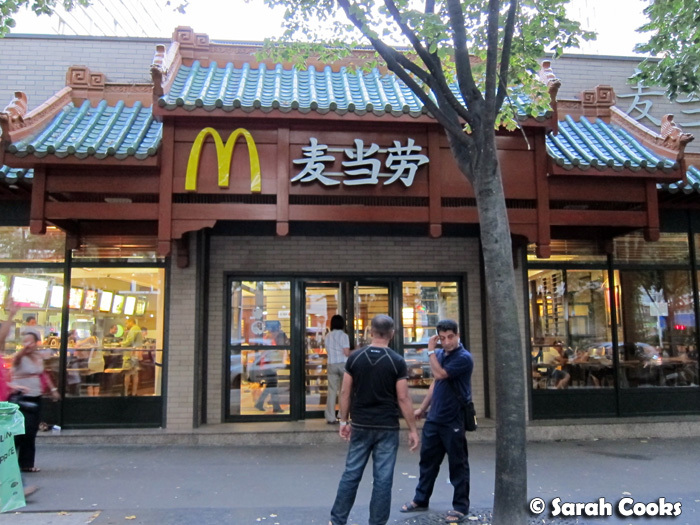 Apparently this is the only maccas in Paris (or perhaps France) with Chinese signage. What are your tips for choosing a good restaurant when you're in a foreign city? 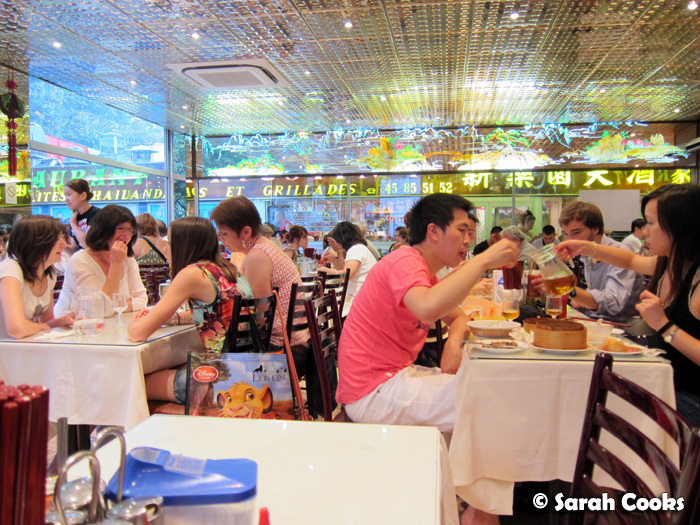 look at how many asians are there in an asian restaurant? that's a safe gauge, i think. 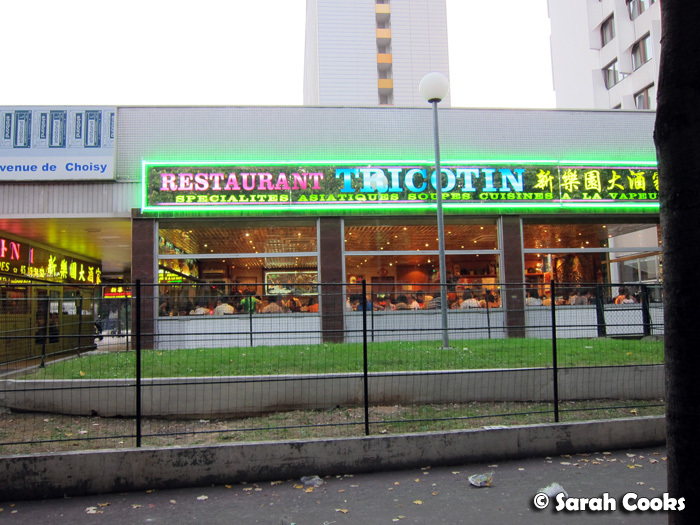 it's so cute looking at chinese dishes with french names! Germany 2011: Spanferkel, or "Pig on a Spit"